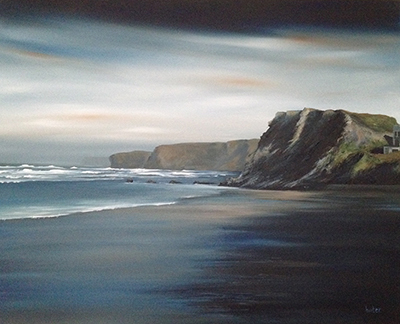 Using acrylic paints you will be given step by step guidance to accomplish your own Cornish coast painting. Discover the secrets to painting clouds, waves, cliffs, sand and more. Looking at composition, colour mixing and brush techniques. All abilities welcome including beginners. Tracey has worked as a professional artist for the past 15 years, exhibiting in Marazion, St Ives, Padstow and Wadebridge. She also organises and facilitates art workshops throughout Cornwall’s art societies and schools. Images of Tracey’s work have been used on many publications including the 2014 Truro tourist information guide, the front cover of My Cornwall magazine, Bid Truro 2014-2017 and the Truro Festival Big Art event brochure.